Ambassador Maurice S. Parker is a career Senior Foreign Service Officer with the rank of Minister-Counselor at the U.S. Department of State. On April 30, 2007 Parker was nominated by President George W. Bush to serve as the U.S. ambassador to Swaziland. After U.S. Senate confirmation, Parker arrived at Mbabane, the capital, and presented his credentials to the King of Swaziland on September 21, 2007. He served as ambassador until June 12, 2009. Parker was born in 1949 in California to parents Robert and Gertrude Parker. Parker received his Bachelors in Arts in political science from the University of California, Berkeley in 1972. In 1974 he earned his Master’s degree in education administration at San Francisco State University. Parker is also a 1993 graduate of the National Defense University in Washington, D.C. He was also a participant in the Senior Seminar of the Department of State between 2000 and 2001. Parker joined the U.S. Foreign Service in 1974. His first overseas posting was at the U.S. Embassy in Georgetown, Guyana where he served from 1974 to 1977. He was also posted to other U.S. Embassies in Madrid, Spain (1976-1978) and Mexico City, Mexico, 1988-1992. He served at U.S. Consulates in Barranquilla, Colombia (1979); Medellin, Colombia (1979-1981); and Edinburgh, Scotland (1984 -1988). Between 1995 and 1998 Parker was Consul General and Principal Officer at the U.S. Consulate General in Barcelona, Spain, and simultaneously served as U.S. Representative to the Principality of Andorra (on the border of Spain and France). From 1998 to 2000 Parker was Consul General at U.S. Embassy in Lagos, Nigeria and between 2002 and 2004 he served as the Principal Officer and Consul General at the U.S. Consulate General in Ciudad Juárez, Mexico. Parker was the Director of Consular and International Programs at the Homeland Security Council in the Executive Office of the President. In that post he reported to President George W. Bush at the White House from August 2004 until March 2005. Between June 2005 and July 2006 he served as the Director of the Foreign Service Assignments Division in the Bureau of Human Resources. Parker’s last post before becoming an ambassador was as Director of the Office of Employee Relations, Bureau of Human Resources at the U.S. State Department from July 2006 to July 2007. 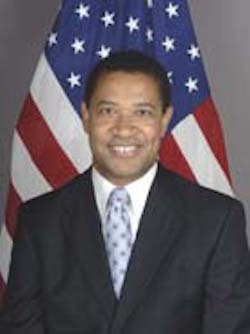 Ambassador Parker returned to the United States in June 2009. He retired from the Foreign Service in October 2010 and is currently a Diplomat-in Residence at the University of Illinois, Chicago where he provides information on career and internship opportunities at the U.S. State Department. Parker also provides advice related to Diplomat-in-Residence services in five midwestern states: Illinois, Indiana, Iowa, Minnesota, and Wisconsin. U.S. Congress, "Maurice S. Parker," Congressional Record, Volume 153, Number 105 (Washington, D.C.: United States Government Printing Office (2008); University of Illinois Chicago, "Previous Diplomat in Residence Biography Maurice S. Parker," Office of International Affairs, University of Illinois Chicago, https://oia.uic.edu/about/diplomat-in-residence/previous-diplomats-in-residence-at-uic/maurice-s-parker-biography; U.S. Department of State, "Maurice S. Parker," U.S. Department of State, http://history.state.gov/departmenthistory/people/parker-maurice-s.